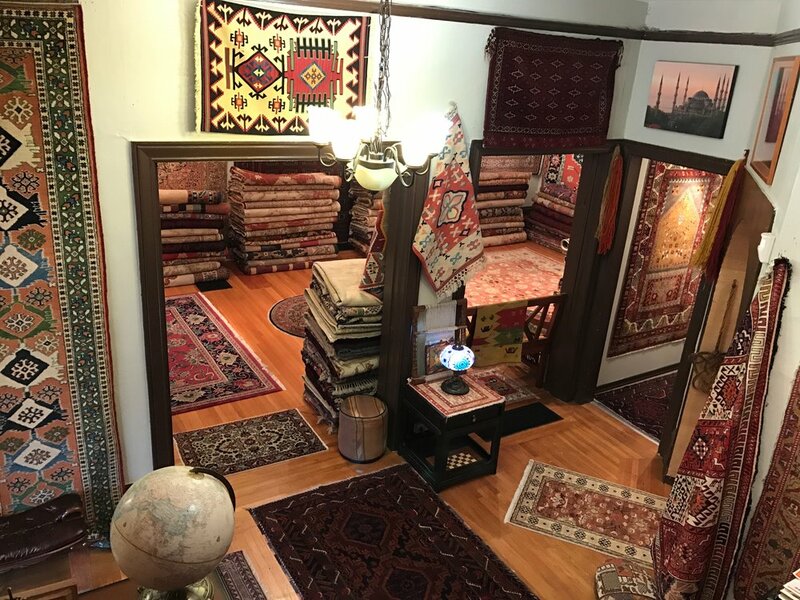 Istanbul Rug Bazaar is a local business that has been serving customers for more than 20 years at its location on NW 23rd Avenue in Portland. We migrated to Portland from our homeland of Anatolia, Turkey. Babik (pronounced “baw-bik”) is the ancient name of our homeland—located in the Kurdish region of Anatolia—referring to “land of Grandfather.” Babik is a town with many sheep farmers, the sheep’s wool has supported our family for thousands of years. Because sheep are such a vital part of our family’s well-being, they are treated with much respect and raised naturally on organic farms. The beautiful carpets and kilims from nearby regions are woven with symbols that tell tales and histories of people. These bring back memories of home, where weavers like my mother and grandmother put their heart into their work, and their works of art adorned each room. My most treasured memories are of family gatherings for dinner around the hand-woven sofra. We offer off-street parking at our store on NW 23rd Avenue—visit us and browse our wonderful rugs for yourself. May your selection bring you memories in your home that you can treasure for a lifetime! All of our rugs are hand-woven of pure, hand-spun wool, cotton, or silk; none are made by machine or of synthetic materials. Each piece is authentic, from its original region, and not an imitation. As a result, each is a unique, or one-of-a-kind collectible. None of our rugs are made by child labor. Natural dyes are used, so the colors you see have variations made from elements found in nature, such as flowers, bark, and plants. Each rug is accompanied by a Certificate of Guarantee documenting its origin and composition. You'll love wool rugs for your health! Pure, hand-spun wool is non-toxic, non-allergenic, and deters bacterial growth, which is beneficial for asthma and allergy sufferers. Dust mites cannot thrive in the sheep’s wool fibers, because the lanolin repels them. A pure wool rug does not attract mold or mildew because wool releases the moisture it attracts back into the air, making it homeostatic and reducing static electricity. Pure wool rugs purify indoor air of common contaminants like formaldehyde, nitrogen dioxide, and sulfur dioxide, by lacking them deep in the core fibers. This is beneficial for people who suffer from multiple sensitivity (MCS), caused by exposure to low-level chemicals from household products, including synthetic carpets. Wool rugs do not need moth repellents. If you clean your carpets and do not have dark, damp or dusty corners, there will be no moths. Fresh air and movement deter them. Pure wool has a high moisture and protein content that has a natural flame resistant—it does not ignite and is self-extinguishable. Or, use the form below to get in touch, and we'll get back to you right away! We have been repairing Antique and hand made rugs since 1987. Our expert repair staff is available in both of our locations Grand Bazaar , Istanbul and Portland, Oregon. There are no big or a small repair jobs. 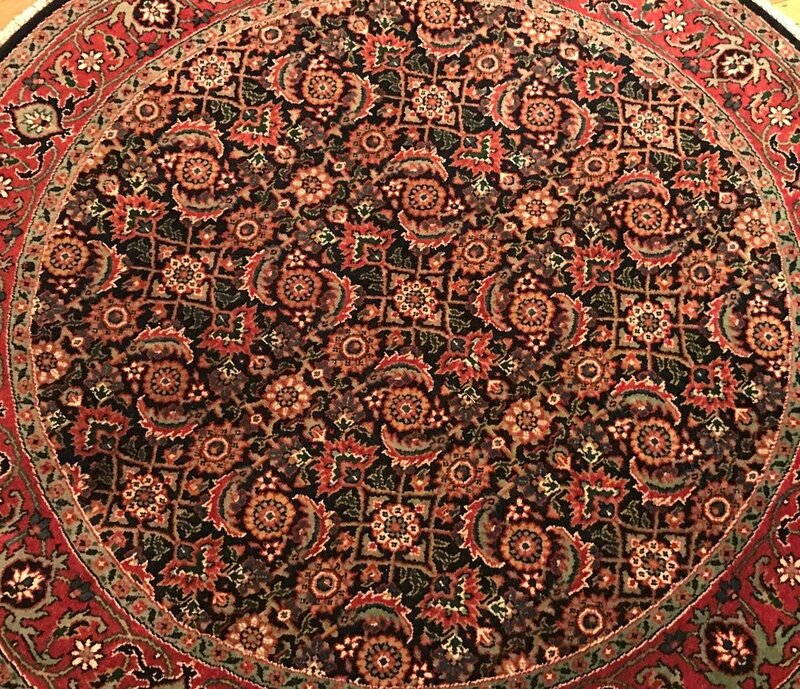 We have the experience to handle Antique and hand made rug repair. Bring your rug or your question to our NW Portland location. Our professional staff has extensive knowledge on hand made rugs. Antique rugs are our specialty. Do you want to know value of your rug? You are in right hands with our experts. Please come in to our local shop to see us!! !